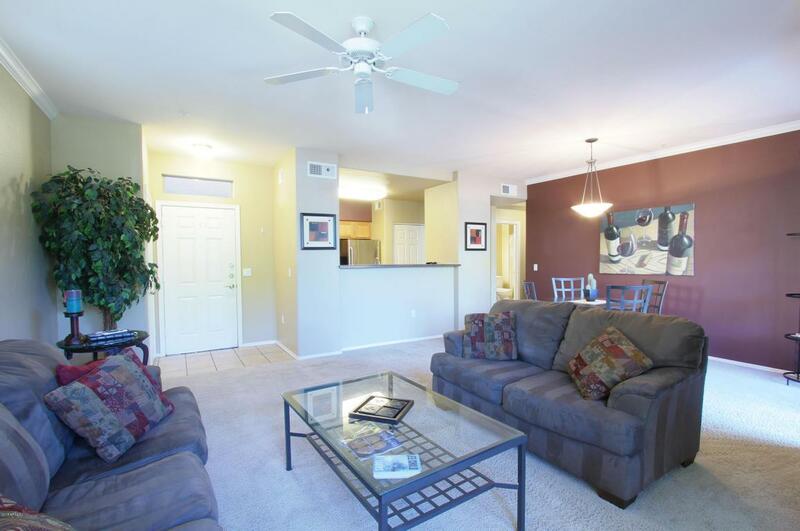 Spacious one bedroom condo in beautiful resort community! This gated community features several heated pools, spa, fitness center, clubhouse, movie theater, and even nights with a chef. 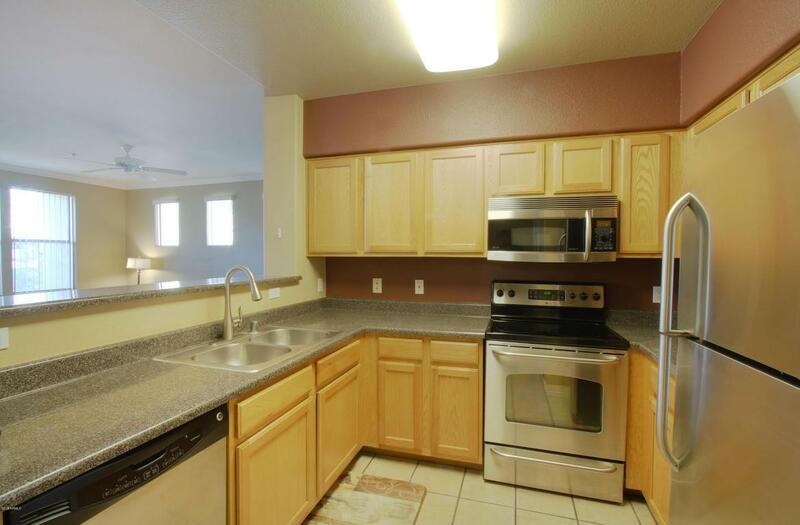 Ground floor unit, in private location near Thompson Peak Park but close to the fitness center. 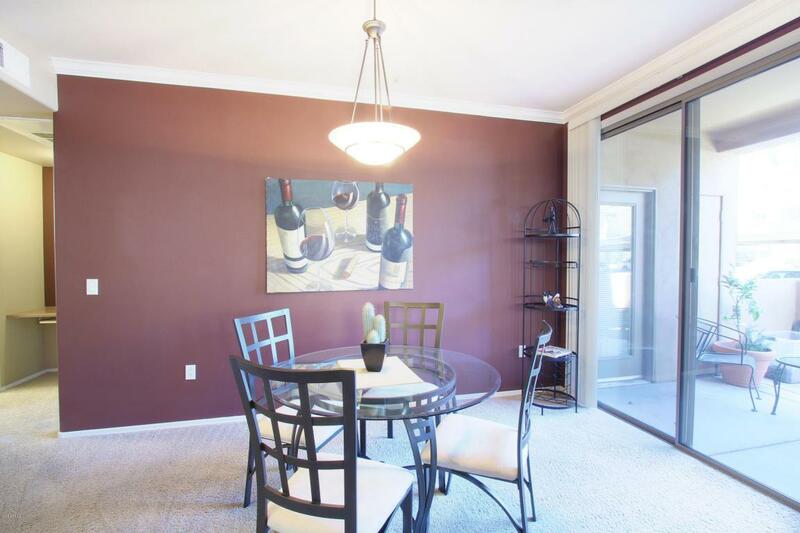 Enjoy entertaining guests in the open concept great room, or enjoy coffee on the patio to get your day started. Built-in office between the bedroom & bath. 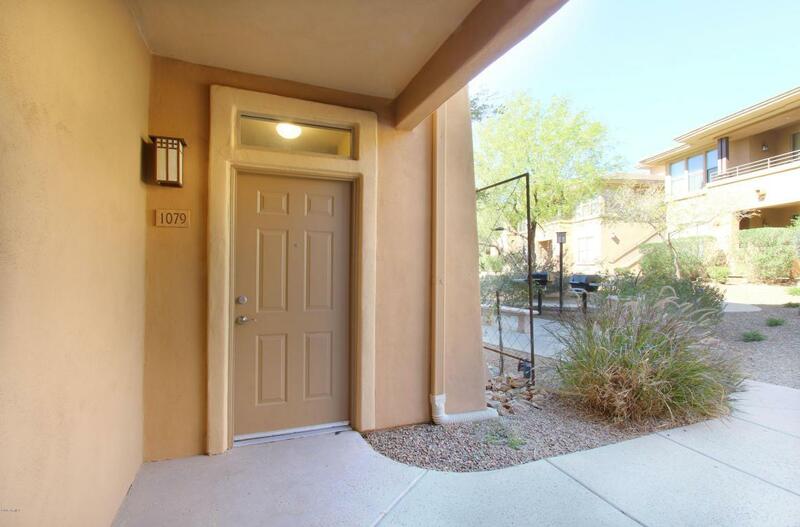 Close to all the amenities Scottsdale has to offer!